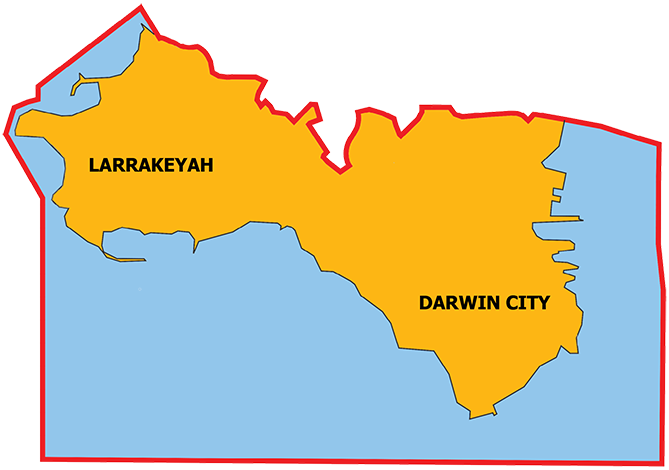 The division was created for the first Legislative Assembly election in 1974 and given the official name for Darwin Harbour. Port Darwin was named by Lieutenant John Lort Stokes in 1839 after Charles Darwin with whom he travelled with on an earlier voyage of the HMS Beagle. The 2015 redistribution saw Tipperary Waters move to the division of Fong Lim. This division includes the inner city suburbs of Cullen Bay, the Darwin CBD, Larrakeyah and part of Stuart Park.